I will make a concerted effort to update the blog more consistently. Until then I hope you’re all chasing your dreams and enjoying the journey that they take you on! What God Sees for 2016! Happy New Year! It was 4:48am in the morning and for reasons unbeknownst, I was WIDE – awake. No longer tired, so I just laid there. I then had the urge to hear the contemporary gospel song ‘It’s Not Over’ and then right after that I listened to the hit ‘It’s a New Season’. Both offer great reminders as we straddle the old year of 2015 and look towards the new year of 2016. Can I really do that? Will I reach the goal? You see – I had made declarations over my life… Signs that would indicate to me, LIFE was once again flowing from within and all around me. I will be a bestselling author. I will be married (this time for the right reasons) and have biological children. I will take my dancing to the next level. I will have financial health. I will be a sought after motivational speaker. I will further sculpt and tone my body. My natural hair will grow back thicker and healthier. Well, the jury is still out… I am still in the process of manifesting a few BIG dreams. But one thing I know FOR SURE, it definitely won’t happen if I don’t try. So 2016 is the year of BIG EFFORT! Trusting that all things are not only possible, but they are also new, in God! God sees my future as limitless, and I’m finally starting to believe, Him! I wish that same vision for YOU! May you start to believe, Just as God believes. The day prior to Independence Day I attended a church concert featuring Tye Tribbett. The concert was an awesome experience and there were many lessons I learned from the word preached by the church’s pastor Joel E. Gregory and Tye Tribbett him self. We listened, we danced, we sang, and we praised. By the end of the evening I was in such a positive spirits. It seemed nothing could knock me off my center… and I remained in that peaceful place until life came-a-knocking. I was still broke. Financially strapped. I felt good on the inside but I was still forced to acknowledge the constraints of the world around me. The direness of my situation became real when I could only place 80 cents in the church’s offering bucket. The gas tank in my car was on empty, payday was 48 hours away, and all I had to give to God was eighty cents. Some might think that my fiscal limitations would be enough to plummet me into a pit of self-pity and despair. But alas that was not the case! 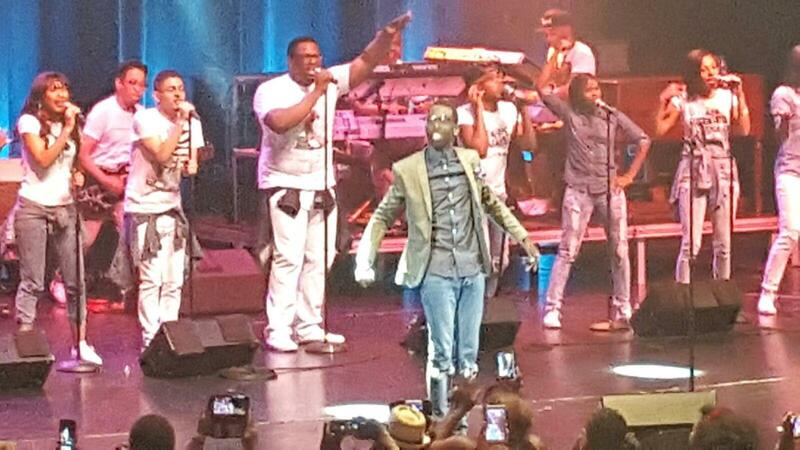 In fact what dropped into my spirit, into my thoughts was one of the songs that Tye Tribbett performed at the concert. “The devil thought he had me, thought that my life was over, he thought by now I’d give up, he thought I had no more” (from the song He Turned It). I was still alive; I hadn’t quit nor gave up. Though I will admit there were SO many moments where I thought about throwing in the towel! Not now though… You see I have finally arrived to the place in life where I REFUSE to quit, no matter the challenge or difficulty that faces me! Napolean Hill is quoted as stating: “Effort only fully releases its reward after a person refuses to quit.” I intend to get a return on investment for all of my efforts! I continue to strive to reach the top! I hope you’ll join me. Today I did a lot of reflecting about money, finances, and budgeting. In most recent years I have gone through an economic upheaval. I’ve had to adjust from eating out all of the time to making and preparing meals at home. Sometimes I am amazed when I consider the manner in which I used to spend money so freely and cavalierly! 1) I am more appreciative of the things I have – because I no longer take for granted that anything is a “given/guarantee” and I realize now that nothing is promised. So food on the table, a roof over my head, clothes on back, shoes on my feet, gas in the car, lights on in the house… and I could keep this list going. The point being that I am no longer indifferent to the simple blessings that I am surrounded by each day! 2) I am more conscientious about how I treat money – because I now realize that one’s attitude about money is important. Just as our attitude about other areas of life matters, so too does our outlook about money. I’ve long shed my former viewpoint that all money earned is money to be spent. I no longer espouse to the belief that money should be “easy come, easy go”. Instead, now I seek ways to pay myself (i.e., invest and make my money work for me). 3) I truly know now that nothing material will never bring happiness. So I don’t need things to try to fill emotional and/or spiritual voids. No need for shopping sprees to “feel better”! Though I still like nice things, I no longer need them. So today was a penny pinching day – but I intend to hold on to to my new money consciousness, even when the day comes that my money is flowing more freely.